Keithing up with the Twins: Cloth or Disposable Diapers? The age old question. Do we use cloth or disposable diapers? 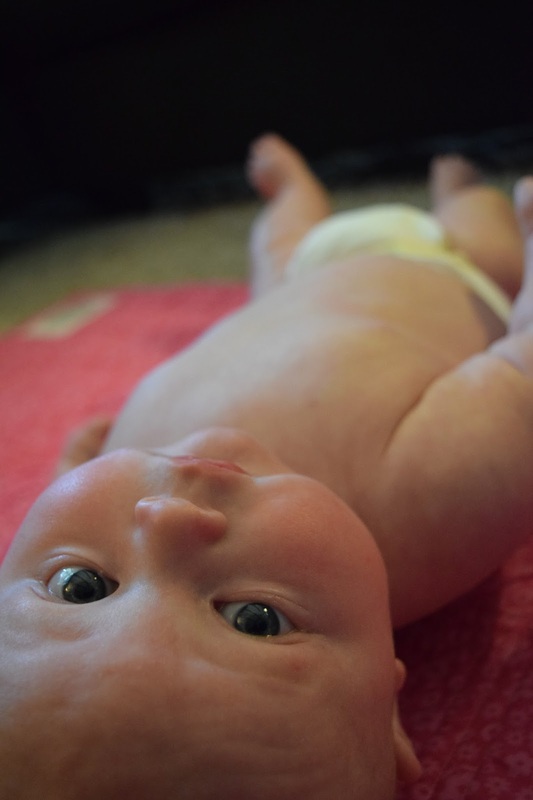 I'm sure from all my pictures in the blog you've seen that we do use disposable diapers. And let me preface this post with he following: this is not a cloth diaper bashing post... I'm just showing support for why I chose to not use them. Also- if you are a family that uses cloth diapers, please let me know how they work! I'm incredibly interested in what works for others and how they live their lives with their babies. I've had this question asked of me a number of times (cloth or disposable) and I always wonder what people's response would be if I answered cloth. 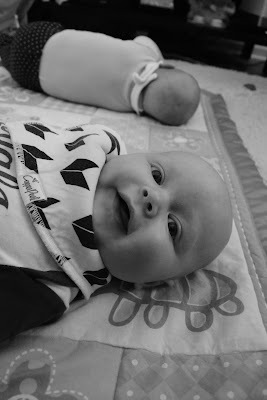 I have no idea the work that goes into using cloth diapers but judging from what I see on a day to day basis coming from my two bambinos, I can only imagine it would be a lot of work. We go through, on average, anywhere from 16-24 diapers a day. They seem to never end! Which is a good thing. It means our babies are well fed and their bodies are working properly. But sheesh, I feel like I'm constantly changing diapers. Around the clock. I'd be willing to bet I could change both babies diapers in under 30 seconds on a good day. You've got to get pretty fast at it doing that many in one day. To those moms out there that use cloth diapers, I applaud you. I really am in awe of anything different from what we do. Just because it's hard to imagine. So what brand do we use? We were incredibly fortunate to receive diapers from Alex's football team before the babies were born. We got a T O N. To prove that, we haven't had to buy one box of diapers yet. And the babies are 4 months old! So if you are reading this and you bought us diapers... THANK YOU SO MUCH. Wipes and diapers are something we always need and will always use. If you have a friend having multiples, buy them as many diapers and wipes as you can. Not having to worry about having enough diapers those first 3 months was such a life saver. I'm sure for any new parents that would be ideal. Anyways... back to brands. We have grown to love our pampers. They have a blue line on them that indicates wetness which can be both a blessing and a curse. I feel like once I start to see that line change, I change them. I have yet to see a blow out on either baby wearing these. They seem to fit really well and seem comfortable. I would say they are my favorite diaper of the 3. We haven't really used Luvs all that much. 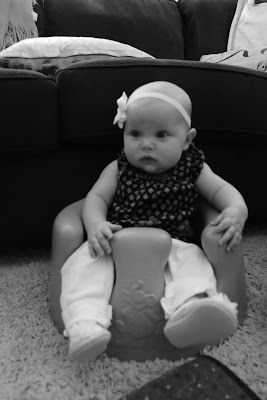 We had a couple packs and didn't feel like they held as well as the Huggies or Pampers. We don't have any packs left so I really can't give a good comment about these because we really have no significant history with them. Honestly, that's probably not much of a rundown, but we haven't really moved into the "moving and crawling" phase so I'm bound to change my opinion on them once the babies get moving more. We have only had enough "blowouts" to count on one hand, and both times I don't think any diaper in the world could have held in what monstrosity came out of those two. I know that Pampers and Huggies have rewards programs, but we are using the Pampers one online and by entering codes on the diaper packages, you can get free diapers and products! Which, is always awesome to get free stuff. Again, especially as new parents. These 2 bugs- they make us laugh everyday. Naps on Dad are the BEST. Time for grip training with their Noggin Stiks! First time at Top Golf! I think they were the youngest ones there... Dad being a little too over ambitious with B's golf training. Hi Lauren! I know you don't know me, I went to school with your hubby :)I stumbled upon your blog, and I love seeing your journey with twins! 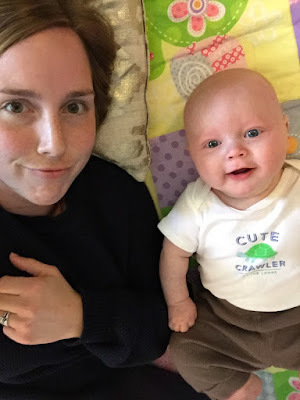 this title caught my eye because we have a 10 month old and we use cloth diapers. I'm not sure if I would've tried them if we had twins, but we love them! Our main motivation was the thousands of dollars its saving us (the diapers were expensive up front but should last for the rest of our kids)! Since you are still going through gifted diapers, that's not a problem for you - awesome! My main concern was the washing, but it really just became part of my routine. I have enough to last 3 days between washes. If you ever run out and want to learn more about the cloth options, I love talking about them! Congrats on your family, enjoy their cuddles before they are crawling all over!